Home » Home & Garden » Rugs & Carpets » Other Rugs & Carpets » Black and White Cloud 50 to 50 Brazilian Cowhide Rug X-Large 41 to 46 s.f. 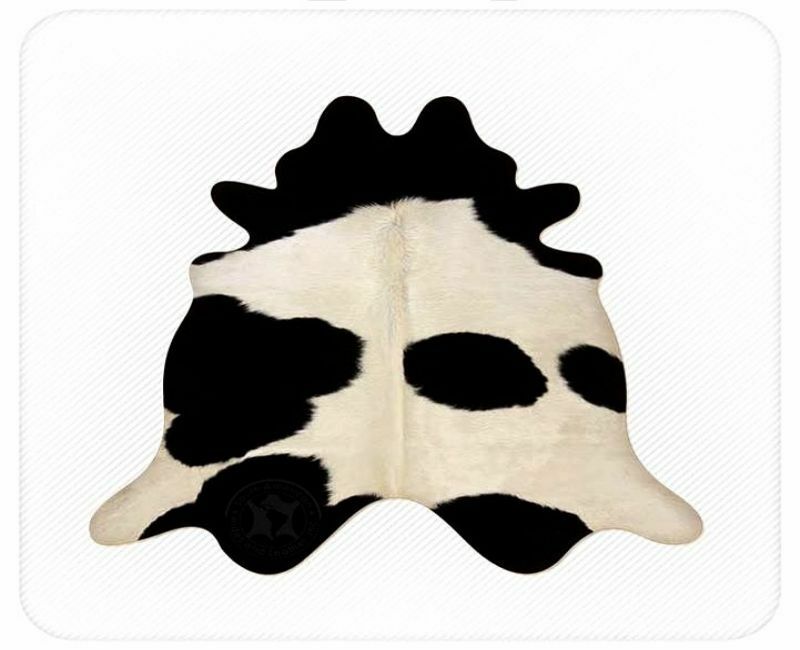 Probably the most popular and highly prized natural cowhide is the black and white cloud pattern, X-Large 41 to 46 s.f.. This hide is designated a 50 50, which means it will have approximately half white and half black patterns. Natural cowhides are perfect as area rugs, wall hangings or drapes and throws. 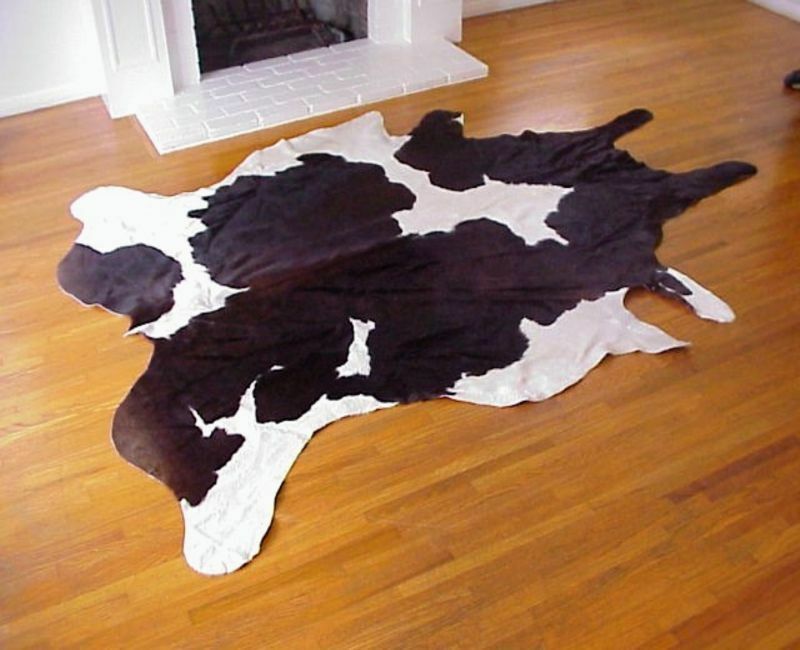 Extremely durable, these Brazilian select chromium tanned cowhide rugs can last a lifetime, and are easily cleaned with woolite and cold water. All Natural Brazil Quality. Each of our hair on cowhides is tanned and hand picked. The photo is only a representation of the hide. Each hide may vary in color, brands, or marks. Our Natural Tones Brazilian Hair On Cowhides feature a clean soft split suede backside and a glossy, shiny, sparkly hair, on the other. Rated the best South American hides available in the market, due to the most advanced technological procedures in tanning and finishing, we are proud to hand select all of our hides, one by one, at source tanneries. Main characteristics of our Brazilian Hair On Cowhides reside in the softness and spotless cleanliness of the suede back side, and a uniform short and shiny hair on the other.